Report of Ilya Veselov, Head of municipal administration of Borovsk District took place on February 20 in Borovsk. 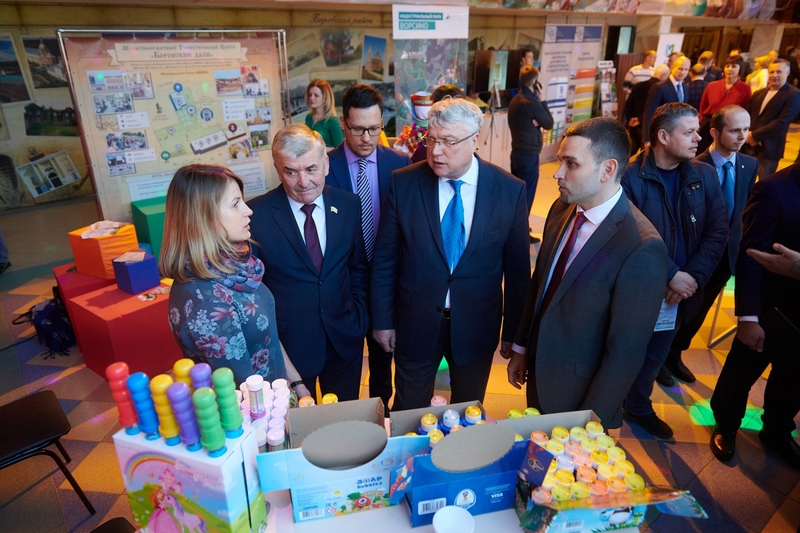 Vladimir Potemkin, Vice-Governor, heads of relevant ministries and agencies, dwellers of the district attended the event. 61, 620 persons live now in Borovsk District. The population increase by 142 persons in 2017. Average salary (major and medium entities) increased by 4.1% in January-November vs same period in 2016, and amounted to RUR 46,797, it is equal to 127% if compared with average salary in the Region (RUR 36,943). 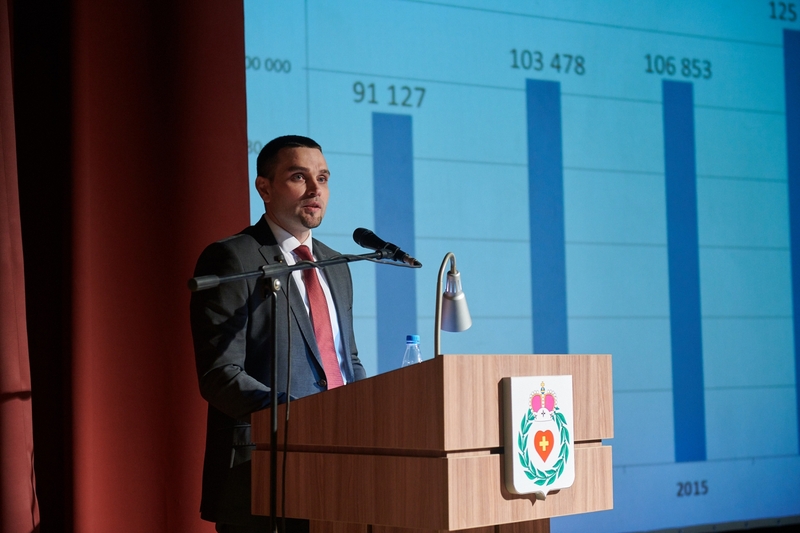 The district is number one by the amount of salary among all districts and municipalities of the Region. Industrial production is the leading sector of the district. Some 130 industrial enterprises operate in the area. Share of the district is 22% in the total volume of regional industrial production; this is second place among districts and municipalities of the Region. Substantial number of major industrial enterprises is concentrated in Vorsino Industrial Park, in the industrial zone in Balabanovo and in Ermolino Town. The major part of enterprises was created as a result of big investment projects of foreign and Russian companies. In 2017, major and medium enterprises shipped products and provided services for RUR 141, 307.2 mln, which is equal to 118.1% if compared to the level of 2016. Share of major and medium enterprises в in the volume of regional industrial production amounted to 95%. In January-September 2017, investments of local major and medium enterprises in capital assets amounted to RUR 6,135.3 mln, or 111.1% if compared with the same period of 2016. Growth of investment volumes in January-September 2017 is explained by investments made by the residents of Vorsino Industrial Park, and also those of Borovsk site of Kaluga Special Economic Zone. In 2017 Laminam Rus OOO Plant manufacturing ultra-thin ceramic plates was opened; AstraZeneca Industries OOO (first pharmaceutical company in Russia that was approved by interdepartmental committee for conclusion of special investment contract) launched production of new preparation; new production line of cosmetic products of L’Oréal ZAO was launched, also, Nestle-Russia launched new lines for production of pet food. Unique Center for development and adoption of processing technologies with accelerated electrons operated by Tecleor OOO was opened in K-Agro Park. Freight Village Vorsino multi-modal transport and logistics terminal is further developed; route network of container train is further extended. The logistics center has 600 ha at the territory of Vorsino Industrial Park. 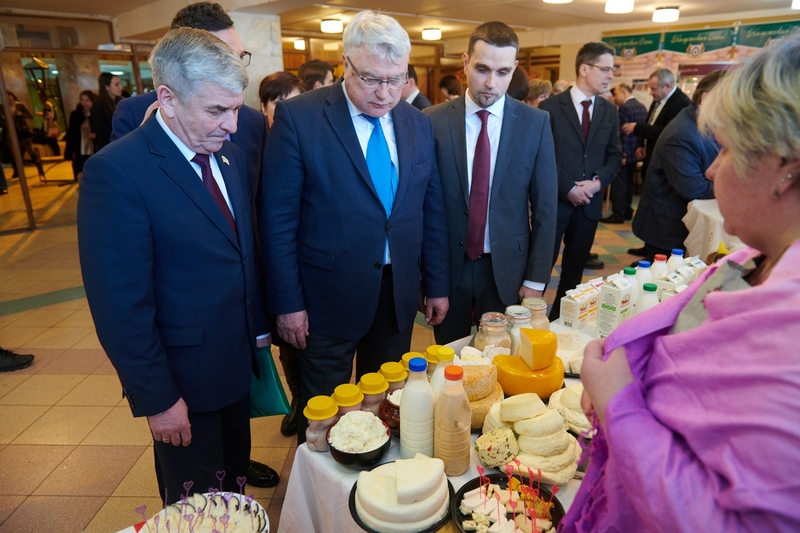 Total volume of funds invested in the development of local agricultural production and agricultural markets amounted to RUR 824.7 mln over the period from 2006. It is expected that upon results of 2017, proceeds from sales of goods, works and services of agricultural entities will be equal to RUR 962.7 mln, thus, exceeding by 8.4% the level of 2016, including RUR 539.2 mln of proceeds from cattle breeding and RUR 102.1 mln from crop farming.